Apache Hadoop is an open-source software framework for storage and large scale processing of data-sets on clusters of commodity hardware. Hadoop is an Apache top-level project being built and used by a global community of contributors and users. It is licensed under the Apache License 2.0. 2] Hadoop Distributed File System (HDFS) - a distributed file-system that stores data on the commodity machines, providing very high aggregate bandwidth across the cluster. 3] Hadoop YARN - a resource-management platform responsible for managing compute resources in clusters and using them for scheduling of users' applications. 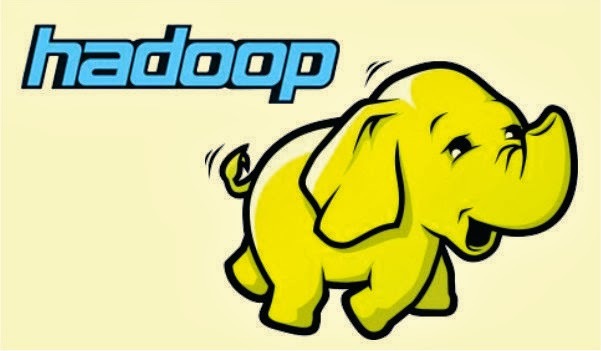 4] Hadoop MapReduce - a programming model for large scale data processing. All the modules in Hadoop are designed with a fundamental assumption that hardware failures (of individual machines, or racks of machines) are common and thus should be automatically handled in software by the framework. Apache Hadoop's MapReduce and HDFS components originally derived respectively from Google's MapReduce and Google File System (GFS) papers. For the end-users, though MapReduce Java code is common, any programming language can be used with "Hadoop Streaming" to implement the "map" and "reduce" parts of the user's program. Apache Pig, Apache Hive among other related projects expose higher level user interfaces like Pig latin and a SQL variant respectively. The Hadoop framework itself is mostly written in the Java programming language, with some native code in C and command line utilities written as shell-scripts. There are two primary components at the core of Apache Hadoop 1.x : the Hadoop Distributed File System (HDFS) and the MapReduce parallel processing framework. These open source projects, inspired by technologies created inside Google. The Hadoop distributed file system (HDFS) is a distributed, scalable, and portable file-system written in Java for the Hadoop framework. Each node in a Hadoop instance typically has a single namenode; a cluster of datanodes form the HDFS cluster. The situation is typical because each node does not require a datanode to be present. Each datanode serves up blocks of data over the network using a block protocol specific to HDFS. The file system uses the TCP/IP layer for communication. Clients use Remote procedure call (RPC) to communicate between each other. HDFS added the high-availability capabilities for release 2.x allowing the main metadata server (the NameNode) to be failed over manually to a backup in the event of failure- automatic fail-over. The HDFS file system includes a so-called secondary namenode, which misleads some people into thinking that when the primary namenode goes offline, the secondary namenode takes over. In fact, the secondary namenode regularly connects with the primary namenode and builds snapshots of the primary namenode's directory information, which the system then saves to local or remote directories. These checkpointed images can be used to restart a failed primary namenode without having to replay the entire journal of file-system actions, then to edit the log to create an up-to-date directory structure. Because the namenode is the single point for storage and management of metadata, it can become a bottleneck for supporting a huge number of files, especially a large number of small files. HDFS Federation, a new addition, aims to tackle this problem to a certain extent by allowing multiple name-spaces served by separate namenodes. An advantage of using HDFS is data awareness between the job tracker and task tracker. The job tracker schedules map or reduce jobs to task trackers with an awareness of the data location. For example: if node A contains data (x,y,z) and node B contains data (a,b,c), the job tracker schedules node B to perform map or reduce tasks on (a,b,c) and node A would be scheduled to perform map or reduce tasks on (x,y,z). This reduces the amount of traffic that goes over the network and prevents unnecessary data transfer. When Hadoop is used with other file systems this advantage is not always available. This can have a significant impact on job-completion times, which has been demonstrated when running data-intensive jobs.HDFS was designed for mostly immutable files and may not be suitable for systems requiring concurrent write-operations. File access can be achieved through the native Java API, the Thrift API to generate a client in the language of the users' choosing (C++, Java, Python, PHP, Ruby, Erlang, Perl, Haskell, C#, Cocoa, Smalltalk, and OCaml), the command-line interface, or browsed through the HDFS-UI webapp over HTTP. Above the file systems comes the MapReduce engine, which consists of one JobTracker, to which client applications submit MapReduce jobs. The JobTracker pushes work out to available TaskTracker nodes in the cluster, striving to keep the work as close to the data as possible. With a rack-aware file system, the JobTracker knows which node contains the data, and which other machines are nearby. If the work cannot be hosted on the actual node where the data resides, priority is given to nodes in the same rack. This reduces network traffic on the main backbone network. If a TaskTracker fails or times out, that part of the job is rescheduled. The TaskTracker on each node spawns off a separate Java Virtual Machine process to prevent the TaskTracker itself from failing if the running job crashes the JVM. A heartbeat is sent from the TaskTracker to the JobTracker every few minutes to check its status. The Job Tracker and TaskTracker status and information is exposed by Jetty and can be viewed from a web browser. If the JobTracker failed on Hadoop 0.20 or earlier, all ongoing work was lost. Hadoop version 0.21 added some checkpointing to this process; the JobTracker records what it is up to in the file system. When a JobTracker starts up, it looks for any such data, so that it can restart work from where it left off. The allocation of work to TaskTrackers is very simple. Every TaskTracker has a number of available slots (such as "4 slots"). Every active map or reduce task takes up one slot. The Job Tracker allocates work to the tracker nearest to the data with an available slot. There is no consideration of the current system load of the allocated machine, and hence its actual availability.If one TaskTracker is very slow, it can delay the entire MapReduce job - especially towards the end of a job, where everything can end up waiting for the slowest task. With speculative execution enabled, however, a single task can be executed on multiple slave nodes. As part of Hadoop 2.0, YARN takes the resource management capabilities that were in MapReduce and packages them so they can be used by new engines. This also streamlines MapReduce to do what it does best, process data. With YARN, you can now run multiple applications in Hadoop, all sharing a common resource management. Many organizations are already building applications on YARN in order to bring them IN to Hadoop.When enterprise data is made available in HDFS, it is important to have multiple ways to process that data. 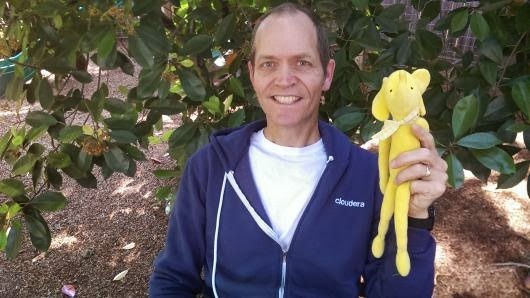 With Hadoop 2.0 and YARN organizations can use Hadoop for streaming, interactive and a world of other Hadoop based applications. Scalability The processing power in data centers continues to grow quickly. Because YARN ResourceManager focuses exclusively on scheduling, it can manage those larger clusters much more easily. Compatibility with MapReduce Existing MapReduce applications and users can run on top of YARN without disruption to their existing processes. Improved cluster utilization. The ResourceManager is a pure scheduler that optimizes cluster utilization according to criteria such as capacity guarantees, fairness, and SLAs. Also, unlike before, there are no named map and reduce slots, which helps to better utilize cluster resources. Support for workloads other than MapReduceAdditional programming models such as graph processing and iterative modeling are now possible for data processing. These added models allow enterprises to realize near real-time processing and increased ROI on their Hadoop investments. AgilityWith MapReduce becoming a user-land library, it can evolve independently of the underlying resource manager layer and in a much more agile manner. Click here: Watson - Era of cognitive computing !!! Great Article. This Blog Contain Good information about ERP Software. Thanks For sharing this blog. Can you please do more articles like this blog.